1. Once a week, wash the hamster's cage and all the hamster's toys with hot water and replace the shavings. 2. Scrub the water bottle and drinking tube to remove algae. 3. Every three days, clean the litter box or the corners where your hamster urinates and defecates. simply scoop out the wet or soiled shavings and add fresh shavings. 4. 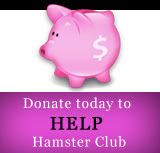 Twice a week, check the hamster's house for spoiled food. Rotten food is deadly! 5. Remove all soiled shavings from your hamster's sleeping nest. You may leave any clean shavings so the hamster's nest carries your hamster's scent. 6. Be sure your hamster always has fresh and clean twigs like hazelnut, pear or apple - to gnaw on, otherwise your hamster might gnaw on the cage bars! 7. Let your hamster out of its cage for about an hour every evening. 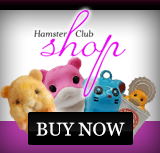 This will help him exercise and hamsters just love play in your room. Just make sure that the room is chew proof! (removal of any visible wire is recommended). 8. Hamsters are very good at keeping clean. You do not need to bath your hamster. 9. 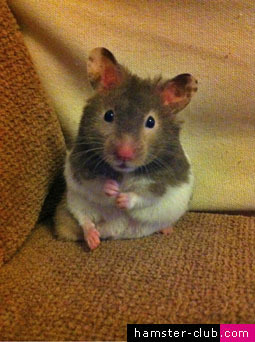 If you have a long haired hamster, pick out any shavings from its hair every day. You may also use a clean toothbrush to brush its fur. 10. Give your new hamster time to get used to its surroundings.